The Decorative Deer are here! Now the Deer are here! 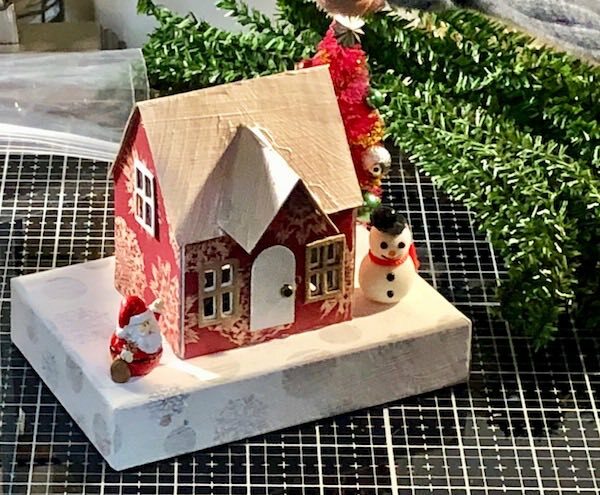 I am hosting a Little House Making Party where we make lots of little Putz houses for Christmas. 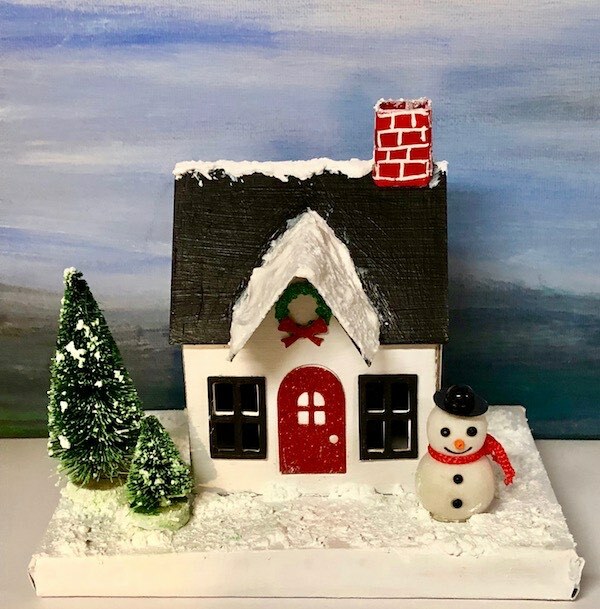 One of the funnest things about making these little houses is decorating them. So I scour the internet each year for great objects to add to the houses. 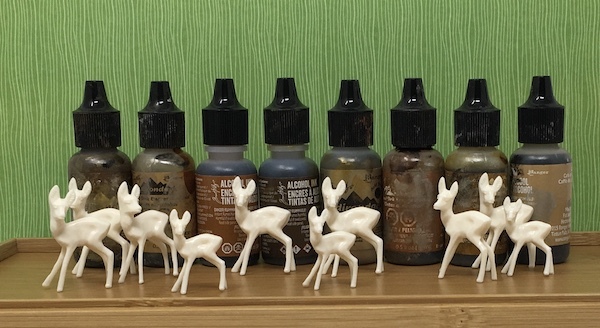 And these little Tim Holtz Decorative Deer rank as one of my favorite decorations. But they need to be stained. And what do we use for coloring these little deer? Alcohol ink. It works great on the non-porous surface of the deer. 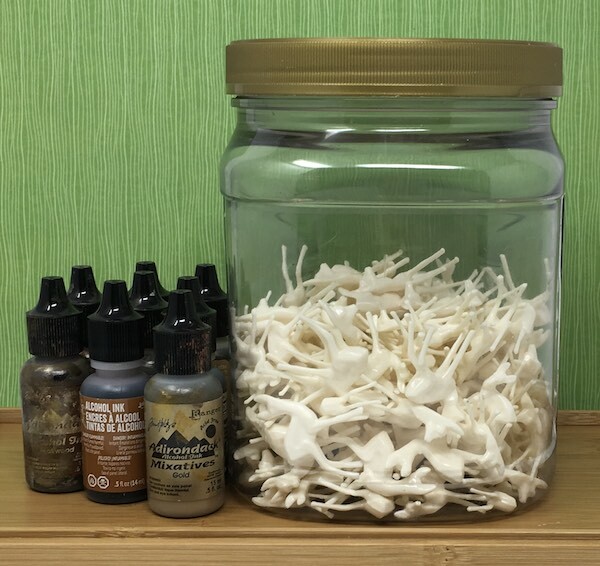 You might wonder about the number of deer in the jar. 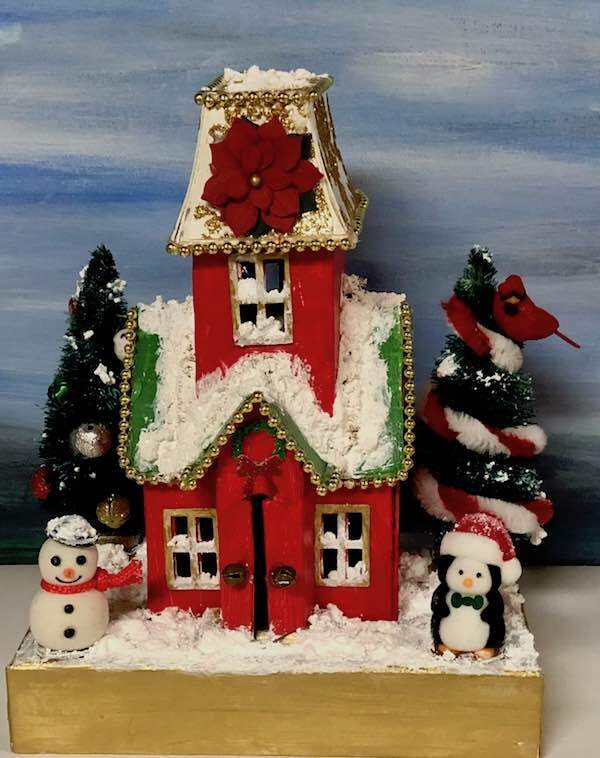 What happens is that I order a few whenever they are available (only around Christmas time) and I had some left over from last year. I always overdo things and over-order because I hate to run out of supplies. And I can use them next year. The little deer stand ready to be stained with alcohol ink to decorate little Putz houses. 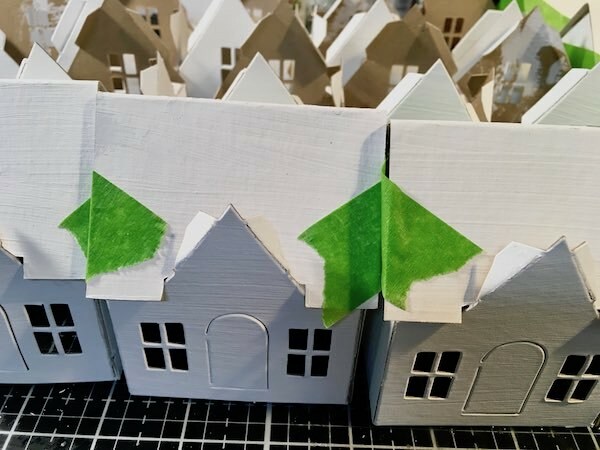 Here are the little Putz houses in progress. I use painter’s tape to help hold the roof on while the glue dries. And here are the little Putz houses lined up for the party. 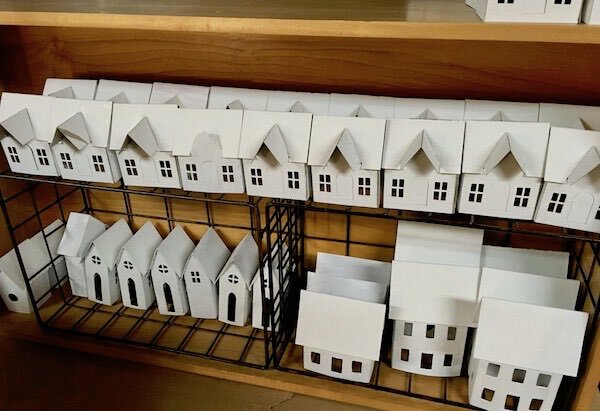 I made 110 houses for my guests. 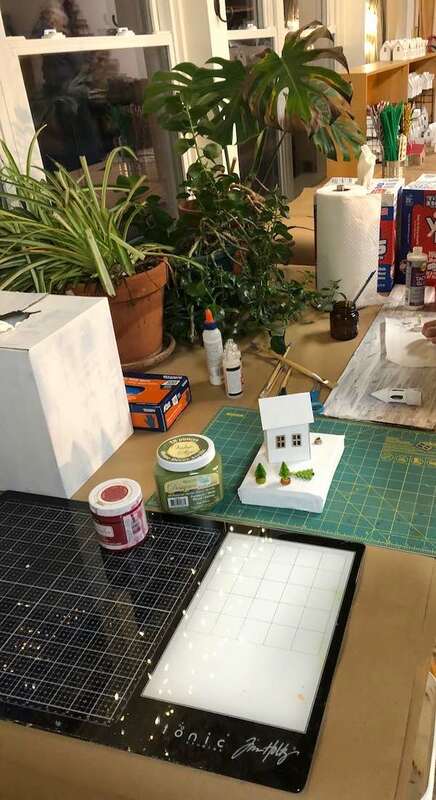 Pre-made houses for the Little House Making Craft Party. Lots of Village Dwellings on the top row because they are the most popular. And here’s a view of one of the paint stations to paint the little houses. I had several tables set-up for painting. Finally here are a few houses made the first night of the party. I’ll post more after tonight’s party. 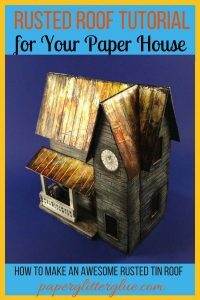 Below you see another house made with the same die – the Tim Holtz Village Dwelling by Sizzix. It is a great shape for a little Putz house. 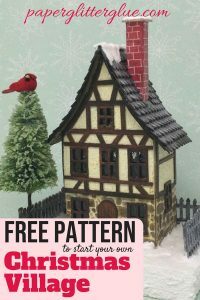 Here is one of the Village Brownstone houses made into a church using the Village Bell Tower die to make the steeple and tower. 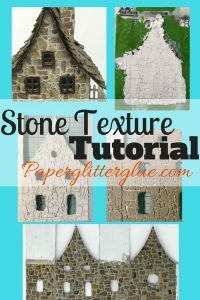 I love how she cut out some stone paper to make the pathway and how she skewed the house on the base to give an interesting perspective. Village Brownstone made into a church. Isn’t the setting great? Now here is the only house made with the Village Manor die. 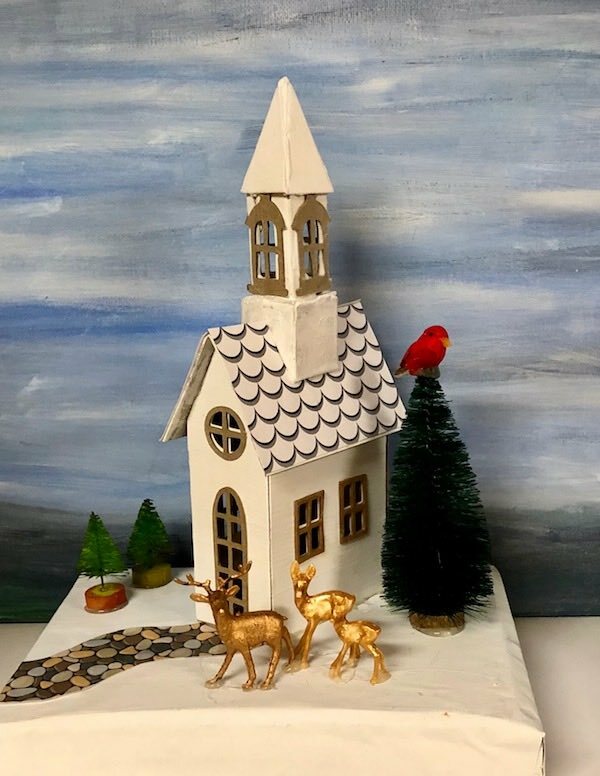 I just love the colors she used – the bright, bright red, the green roof with gold trim and the gold paper on top of the Manor. And that is the state of the Little House Making Party today. More tomorrow after the second night of the party. Let me know what you think. You can email me at lucy@paperglitterglue.com. P.S. 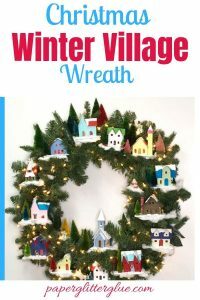 I am going to host another challenge making 12 Christmas houses for a wreath starting November 26th. These will be designed like the traditional old timey Putz houses. More details later. What else can I say! What ambition! P.S. You can email me at Lucy@paperglitterglue.com if that is easier.